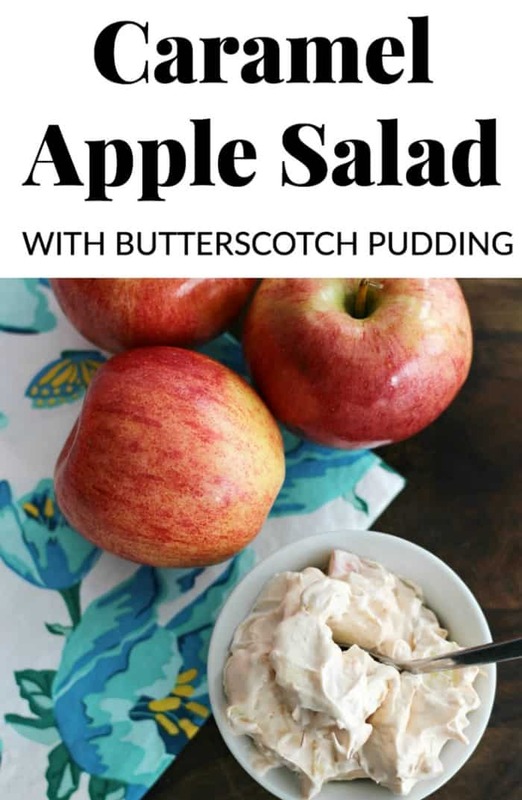 This Caramel Apple Salad made with butterscotch pudding, mini marshmallows, and salted peanuts is one of those favorite recipes that I have been making for many years. I have been going through my recipe binder, that I started when I got married almost 15 years ago, and sharing the family favorites with you all. Remember those No Bake Chocolate Boil Squares I shared. Mmm. (Be sure to scroll down to see the video recipe too). 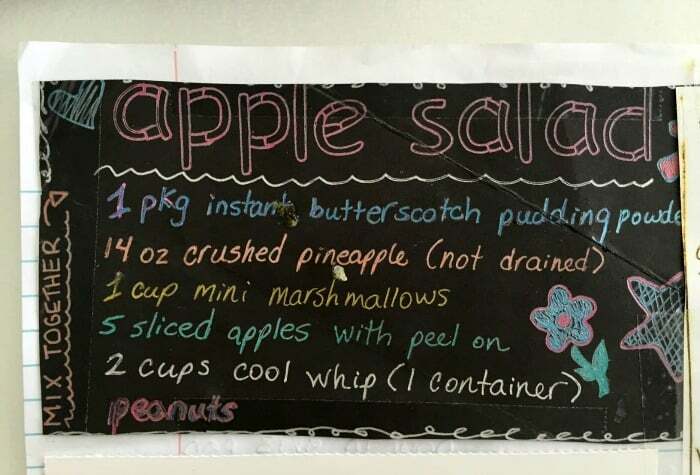 Yes, this Caramel Apple Salad is a salad, that being said, I personally find sweet salads to be more of a dessert. 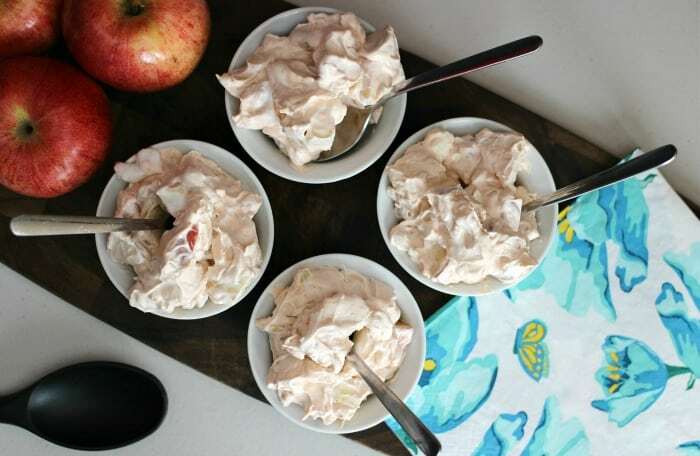 This super simple taffy apple salad reminds me of those juicy caramel apples you get from the fair every summer. That juicy, crunch when you bite into the peanut and caramel covered apple, oh so good! Here is a picture of the APPLE SALAD recipe from my binder – don’t mind the splatter, it’s been open to this page a lot! 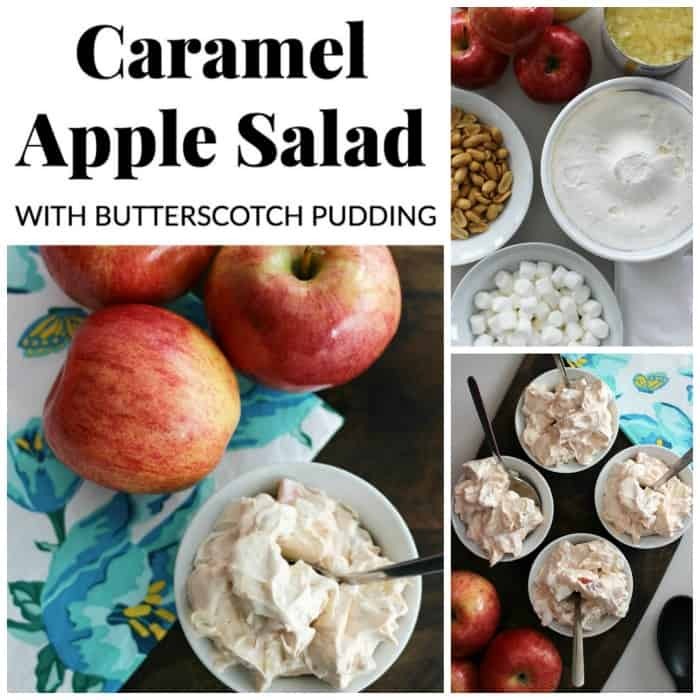 The Best Caramel Apple Salad made with butterscotch pudding, mini marshmallows and salted peanuts is one we have been making for years – it reminds me of those caramel apples you get at the fair in summer. Wash and chop up the apples into chunks. Add the ingredients and mix together. 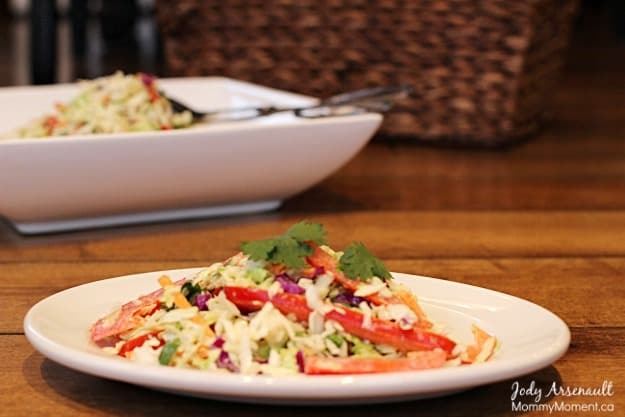 You may also like this Creamy Asian Coleslaw Recipe. It is so delicious! Hope you love it as much as we do. OMG This sounds soo delicious!!!!!! This looks so yummy!! I am almost afraid to make it, I might like it too much! You are right I have to try it! Sounds so delicious! I have made this several times. This recipe is a hit.